The Canadian Co-operative Association (CCA) is a not-for-profit organization that works with co-operatives and credit unions around the world, supporting projects that reduce poverty, build sustainable livelihoods, and improve civil society in less developed countries. The CCA’s payment process—the series of steps that gets money from donors to projects—is a fundamental element of its business. It’s through this process that the CCA can run its projects, support international volunteers, and undertake contracts with partners. Given the complexity of CCA projects, each of which can involve multiple people, organizations, and governments in numerous geographies around the world, this fundamental process had become complicated and riddled with inconsistencies. The organization was aware that it could gain significant efficiencies and better serve its beneficiaries by eliminating the waste and duplication in its payment process. BP&M’s approach to Lean management resonated with the CCA: empower employees to work smarter and make key process decisions; understand and visualize the process from end to end; and work toward practical, scalable results. The BP&M solution began with LEAN training to ensure that key stakeholders in the payment process shared a common understanding of basic LEAN concepts. This training directly preceded a workshop focused on assessing the CCA payment process, allowing the CCA to immediately apply the LEAN principles it had learned. At the workshop, called a Kaizen Event, CCA managers, administrators, and other key players worked with BP&M to analyze each detail of the CCA payment process so that they could not only visualize and identify weaknesses and waste in the payment process but also design the solution together. 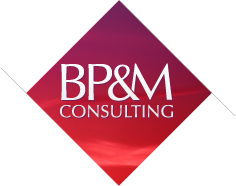 BP&M then helped the CCA define a clear plan for improving the payment processes, with checkpoints in the immediate, near-term, and longer-term timeframes. In analyzing the current state of the payment process, it quickly became clear that it was bogged down by divergent versions of and rules around forms, templates, contracts, and supporting documents for funding. This “overproduction” was causing inconsistency across regions and wasting time and opportunity. With BP&M’s help, the CCA identified key ways to streamline this aspect of its payment process. In addition, the organization focused on enriching the content of these documents to render donor requirements, accountabilities, payment processes for volunteers, and other key elements simpler and more effective. Extra processing in the form requiring two signatures to approve payment processes was significantly hampering productivity. This process was simplified so that only a single signature is now required. Introducing key metrics to track inefficiencies—such as the number of times a form is returned to its sender to address errors—has helped the organization pinpoint problem areas and continue to streamline and improve its payment process. Eliminating waste in the payment process has opened up the space to build more capacity at each step of the process. It has also given the CCA the tools, concepts, and techniques it needs to apply Lean to other key areas of its business. The CCA has now trained most of its staff in basic Lean concepts and plans to apply Lean to its communications and volunteer management processes next. The CCA now has a streamlined, end-to-end payment process. The solution that they created in partnership with BP&M arose out of a collective, cooperative analysis of the payment process that involved everyone whose work affected (or was affected by) this process. Directors, administrators—everyone came together to assess the current state and co-create the new process. This approach, assisted by BP&M’s unique Kaizen exercises, empowered people to understand each other’s work and build a shared context, using a common language, fully visualized from end to end. The techniques and approaches the CCA learned through this business process improvement initiative will help them to continue to eliminate waste in their business and get the most value from their resources—value that can be passed on to the communities they support around the world.